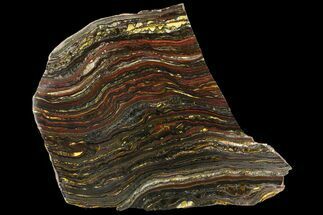 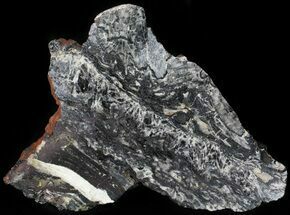 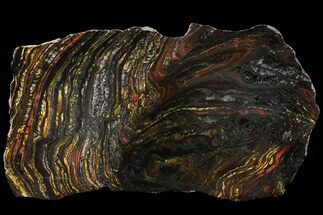 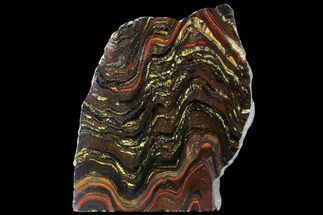 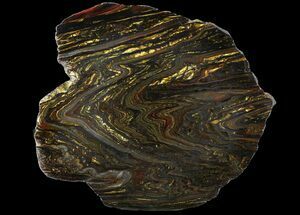 This is an fascinating 2.1" wide, polished slab of Isua Banded Iron from Southwestern Greenland. 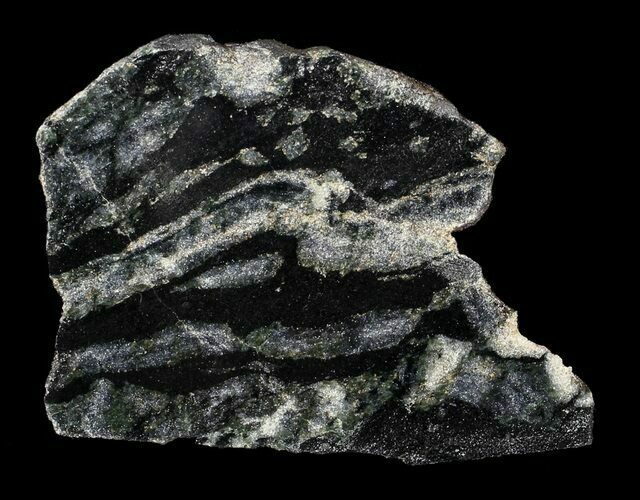 Recently exposed by melting glaciers, these rocks from the Isua Greenstone Belt are not only the oldest rocks exposed on earth's surface but studies in 2016 have concluded they also harbor the first evidence of life on earth, 3.7 billion years ago. 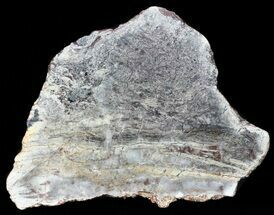 Due to the remoteness of the locality the material available is pretty limited and was only able to acquire a handful of pieces. 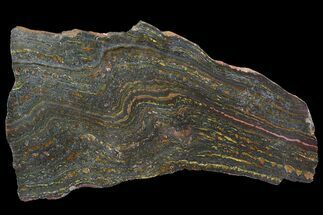 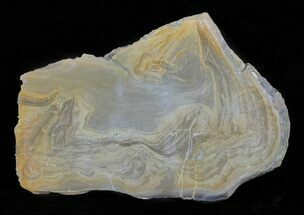 The complexity of the stromatolites found at Isua suggest that life on Earth was already sophisticated and robust by the time of their formation, and that the earliest life on Earth likely evolved over 4 billion years ago. 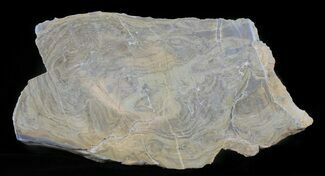 This conclusion is supported in part by the instability of Earth's surface conditions 3.7 billion years ago, which included intense asteroid bombardment.The formation and preservation of fossils from this period indicate that life evolved early and prolifically in Earth's history.